WHY DO WE NEED TO KNOW and not only JUST DO! 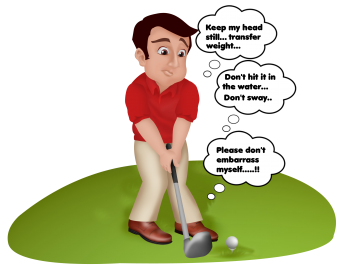 When coaching is involved in any student’s quest to improve, the dilemma is that the more you “think” you lessen your chances to strike the golf ball with any level of consistency. Never fear! We have an answer for you NOW. The answer is “To do “the Drill” drill. By this is meant that each drill in the Master Coaching Academy has a specific purpose. That purpose of each Drill is to train the hands, arms, body, and mind to develop a feel for the correct alignment and pace of a specific component that blends in to be part of a coordinated and powerful golf swing. 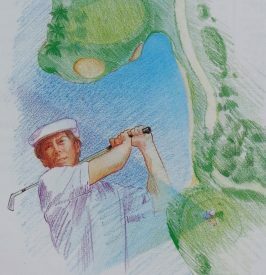 When you understand the purpose of any specific drill and you then go ahead and duplicate that drill – over and over – by doing the drill new understandings come into view as to what a good golf swing should look and feel like. When you apply this “do “the Drill” drill” for each component, you will move closer and closer to swinging the club by “feel” and less and less “thinking” will be required. It is only when you know, can you let go and trust your swing and minimum thinking is then required! Next Article Next Article: Have You Got Rhythm? Have You Got Music? Have You Got Your Swing?